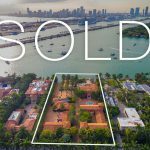 This gated compound located at 1002 South Ocean Boulevard, Delray Beach is across the street from the beach and a few blocks from Atlantic Avenue’s boutiques and restaurants. 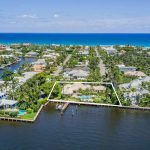 Situated on an expansive corner parcel the property offers 150 feet of frontage on Hibiscus Road and 100 feet of depth on A1A. The seaside residence features crown molding, marble and hardwood floors, built-ins, dual staircase and spacious interior living areas. The private grounds offer tropical landscape, pool with spa and patio, three-car garage and decorative driveway with entry gate. The main house has three bedrooms and the guest house has a living room with morning bar, full bath and bedroom. 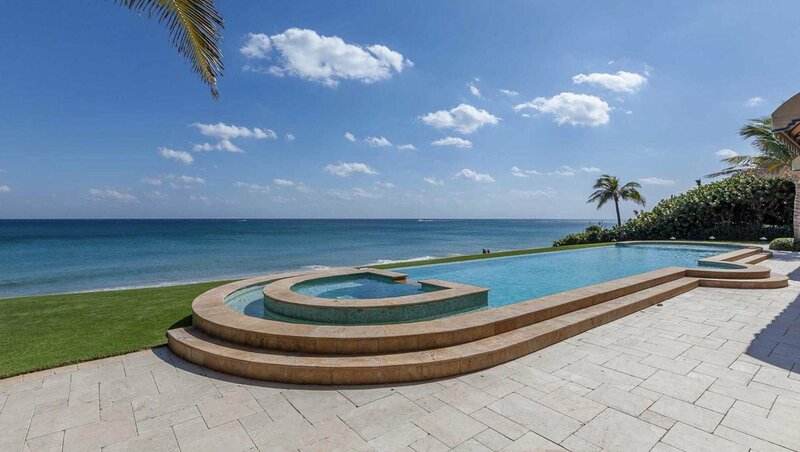 This listing represents incredible value in the beach area. Come live the luxury lifestyle you’ve always wanted! 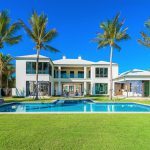 Boasting a South Ocean Boulevard address and a location that is second to none, this coastal property lives like a private compound with a gated entry, main house, guest house and three-car garage. The flexible floorplan offers 5,305 square feet under air and a total of 6,838 square feet. Features include marble floors; dual stairways; recreation room with bar; family room with built-ins and standing bay window; formal dining room; kitchen with breakfast area, island with snack bar, two sinks and large pantry; and a unique glass office that overlooks entryway below. The main house has three bedrooms including two guest bedrooms with private baths and master suite with sitting area, walk-in closet and master bath with glass shower, tub and dual vanities. The guest house has a bedroom, full bath and additional room with morning bar that could serve as a living room or fifth bedroom. 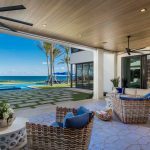 The expansive grounds offer plenty of green space for enjoying privacy and outdoor entertaining with the beach across the street. The pool and spa are perfectly framed by the open brick patio with a separate pool house with storage room and half bath. The decorative pathway leads to various patios and French door entryways to main house as well as the guest house stairway on the west side of the property. Other features include impact windows and doors throughout, first floor laundry room, powder room off main entry, large decorative driveway and three-car garage. Enjoy the nearby East Atlantic Avenue as well as a pleasant drive along A1A to Palm Beach and Boca Raton. Travel is easy with several private jetports and three international airports easily accessible via Federal Highway or Interstate 95. Luxury living awaits at this coastal residence! Contact Nick Malinosky for more information about this beach area residence located at 1002 S Ocean Blvd, Delray Beach.